March came and went, which was a good thing here in the MCI office since we were super busy, producing fresh designs left and right! This month, we also introduced a new design service called Room Service—which has been pretty fun and exciting. March was great for design, and we're so excited to move forward and spring into April. Of course, like always, we end the month with a roundup of a few of our favorite things, which we featured each Friday on our Instagram. 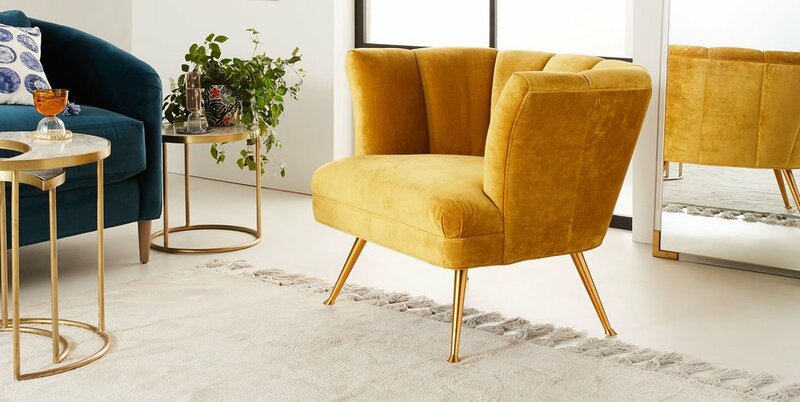 This gold velvet tulip chair was our first Friday Fave for spring, and it couldn't have been a better choice! 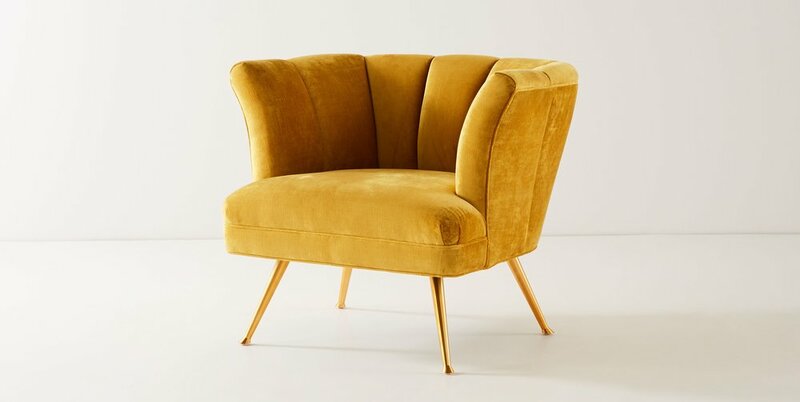 This chair from Anthro is a biomorphic design piece, which means it draws inspiration from natural patterns and organisms. 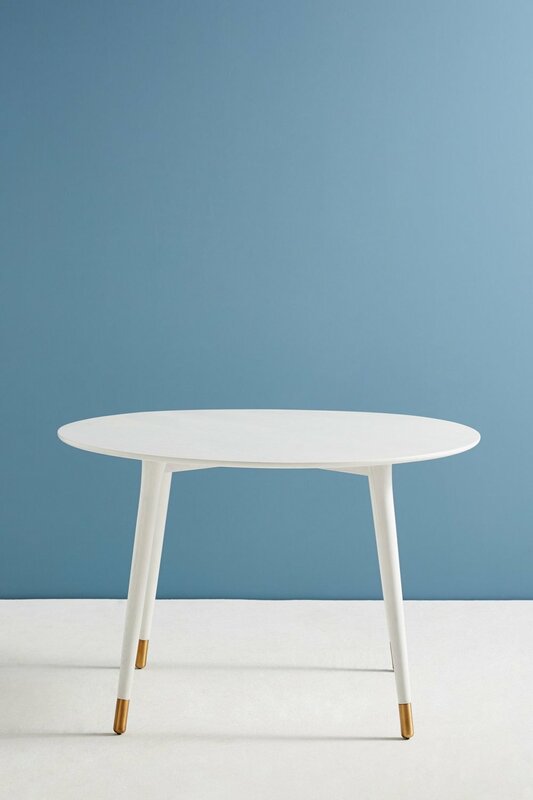 We also love how it's a vintage inspired piece from the 40s, and you can customize it to whichever color and/or fabric you feel works best for your space. 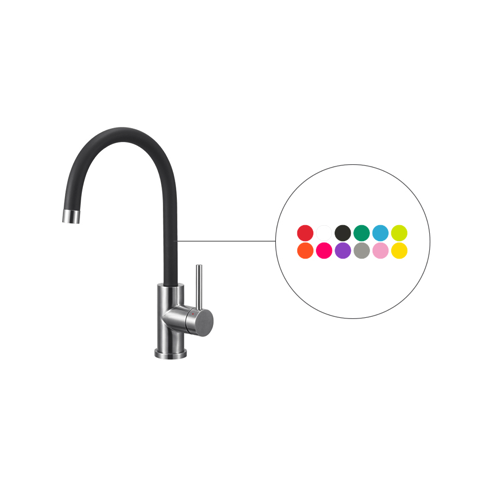 Color your kitchen tap with the Caressi Colours line. 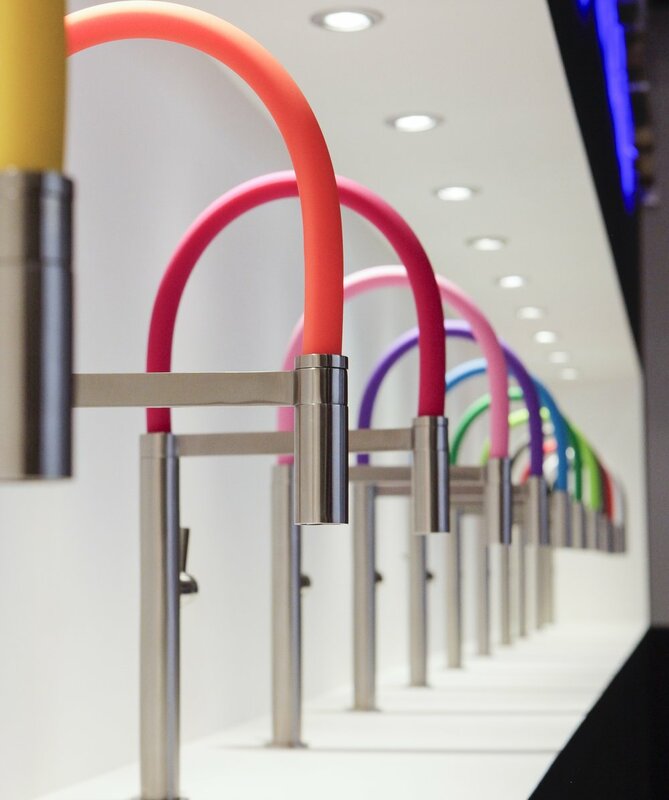 These fun stainless steel kitchen taps are so fun and a great way to brighten any kitchen without completely conforming to one specific color. These taps come in 12 different colors, which makes it even harder to choose! 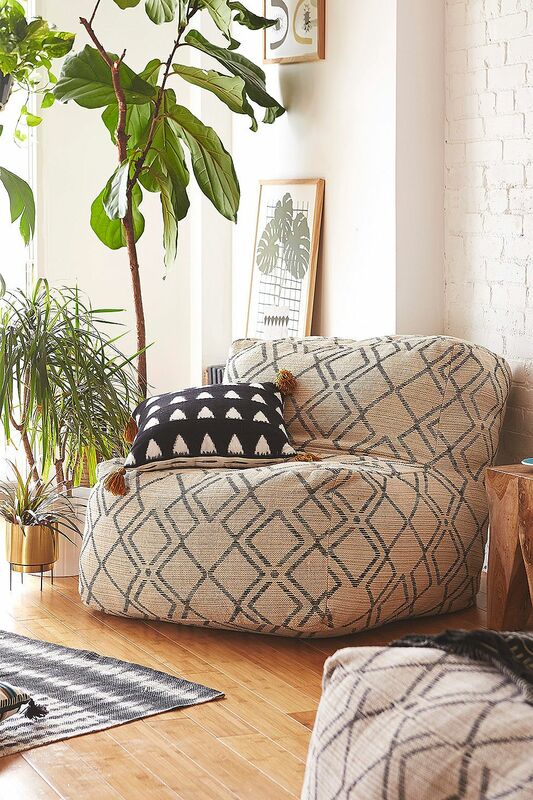 Textiles are a great way to incorporate trends, and we love the use of the currently-trending palm pattern here! FLOR square tiles are perfect for any size room, and each square can be easily replaced or clean when needed. Being 100% recyclable, these are perfect for just about any home—especially those with kids! 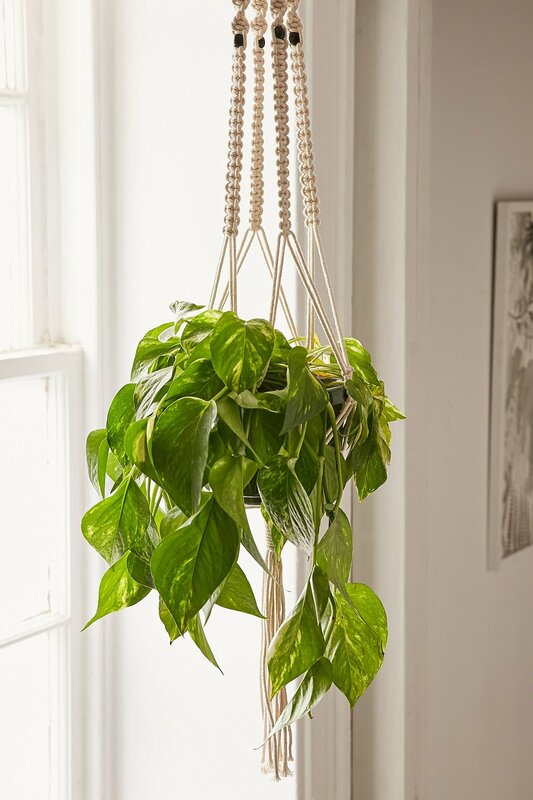 That's a sustainable design trend that we are over the moon about! These ceramic stools from Anthropologie were a favorite from Aleah, and we totally understand why. They are multipurpose and can be used as alternative seating in just about any space since they are easy to move around and can go just about anywhere. The geometric motifs and metallic accents are an added bonus. Which one of these is your fave? Comment below and let us know! Sales are an excuse to shop and spend some of the money you've been stashing away for your next vacation. President's Day just passed, and a few of our favorite stores are having a sale on some of our favorite items—items that we passed up before and now, we can't. 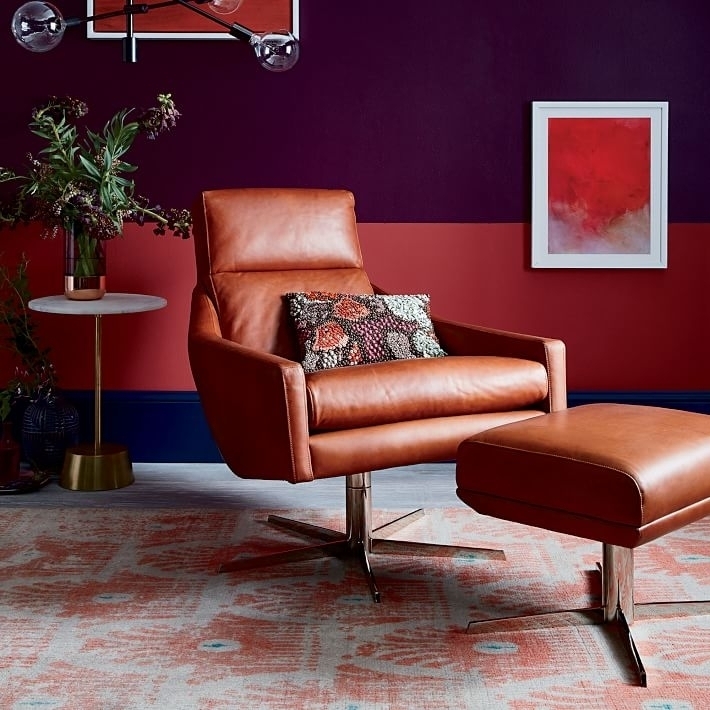 Maybe you need a new chair in the office or a couple of throw pillows to spruce up the living room? Maybe you don't think you need anything at all until you see a gorgeous media console on sale at West Elm. To help you shop a little less, we decided to give you a couple of our favorite items on sale right now. Although not listed, make sure to check out some of the cool sofas on sale at Article... if you dare! Mackenzie here! Recently, my friend Jess asked if I would contribute a piece in the latest issue of Stellar Day Magazine, an online magazine & blog that is designed and created to encourage and inspire women. This month's theme is Community, a topic which really resonates with me at this point in my life, so I was happy to oblige! I've lived in several cities across the globe, and downtown Phoenix has one of the most tight-knit and supportive communities I've been ever been part of. Check it out below!